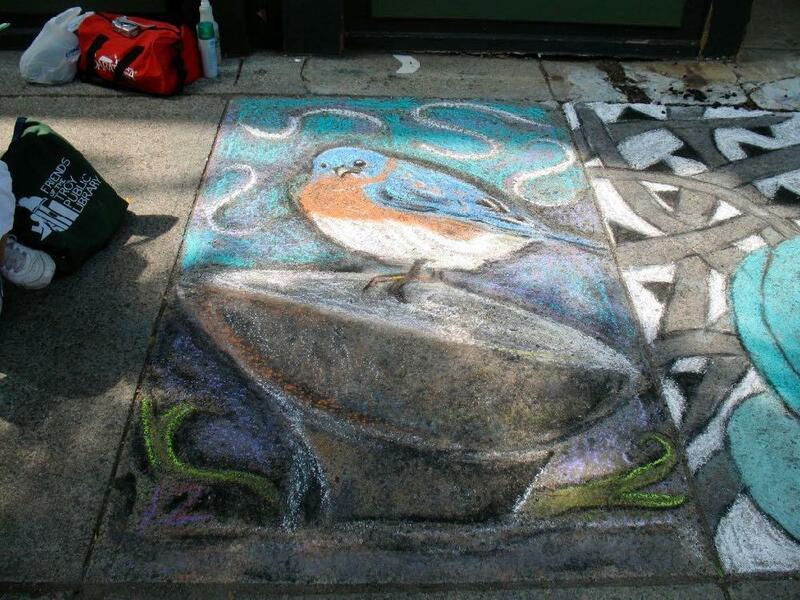 All regional artists are invited to participate in the fall Street Painting Competition for the best chalk design on the sidewalks of River Street. Registration fee is $20.00 and includes one set of colored chalk, and one pack of white chalk. Please note, artists are allowed to provide their own chalk based on their designs but the entry fee still applies. Age categories: Adult, Grade 1-5, Grade 6-8, or Grade 9-12. Registration is $20 and space is limited. See the link for details. Also: The event has a different location this time around. It will still be on River Street, but it will be the block between 1st and State Street (it's the curved block by the Rice Building).